Look at the main Benavente page for details. After almost two months of no updates, I am glad to see that there's some progress. 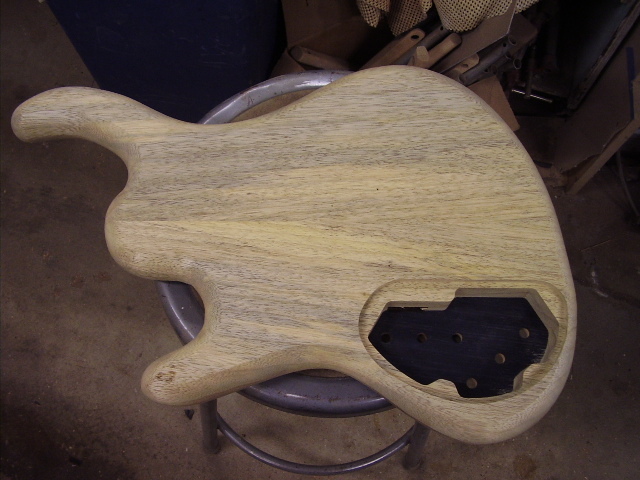 This image isn't totally fresh, but here is the bass drying after a coat of finish has been applied. 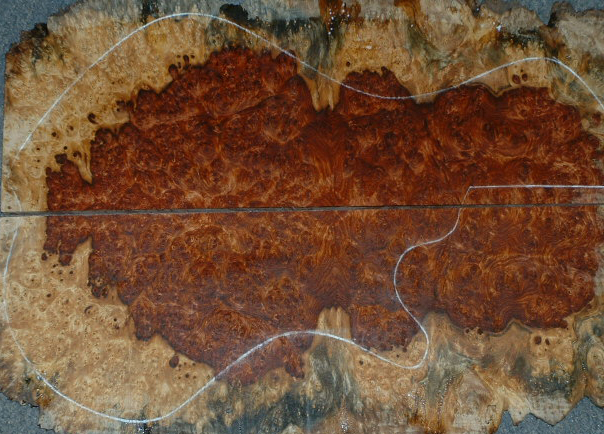 That Amboyna top wood looks interesting, huh? 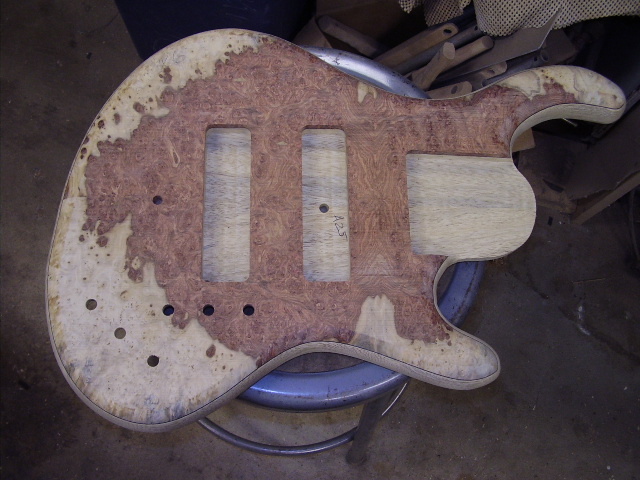 The neck and body is glued together. 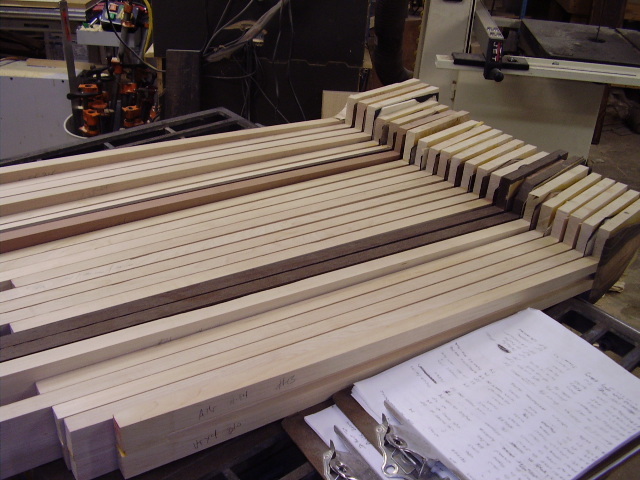 And the body is routed as well. 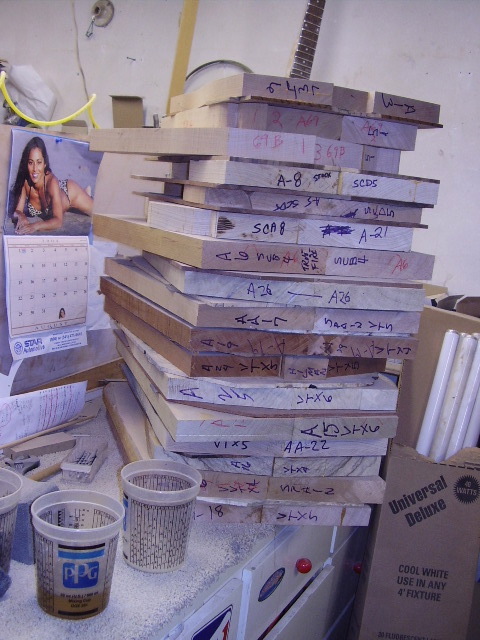 Fascinating top wood, that Amboyna stuff. I wonder why both pickup holes are wide, though. No doubt it'll be cleared up. Update September 24th. 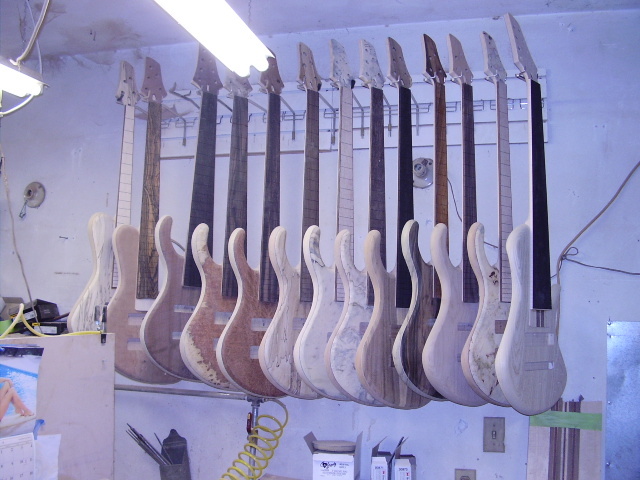 : The pickups have the same size casing, making "slim" and "wide" pickups interchangeable. Very nice. See, I told you it'd be cleared up! So, the bodies and necks have been sitting around a while now, and finally something is happening. 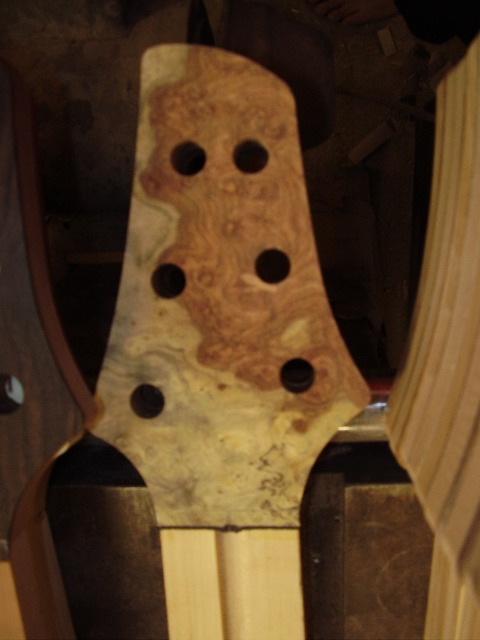 That is the headstock of mine - the Amboyna Burl laminate says so. 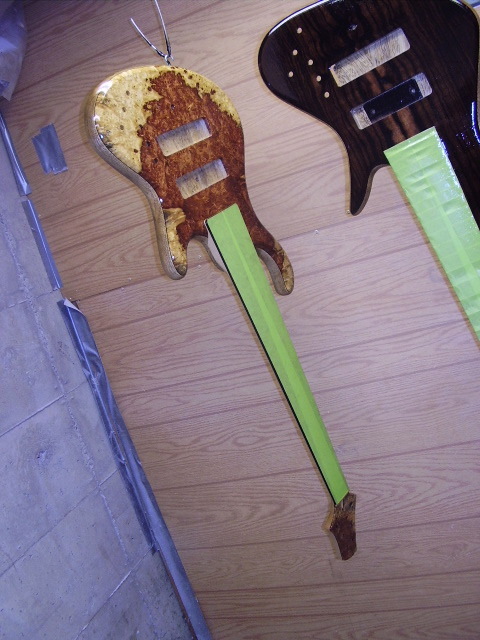 The neck and body has been laminated. 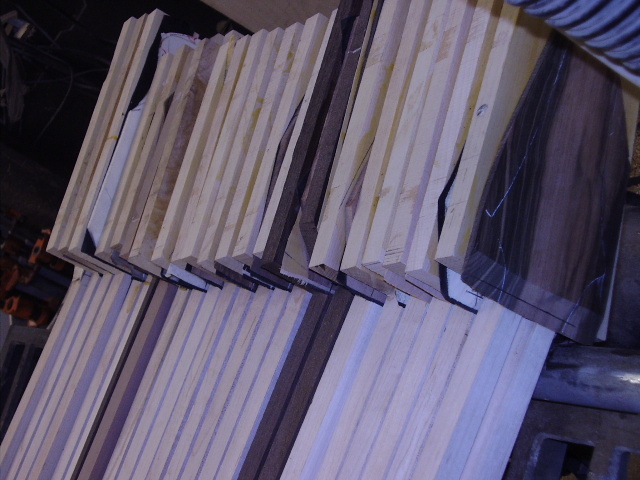 Here is a photo (very big) of a lot of glued bodies. 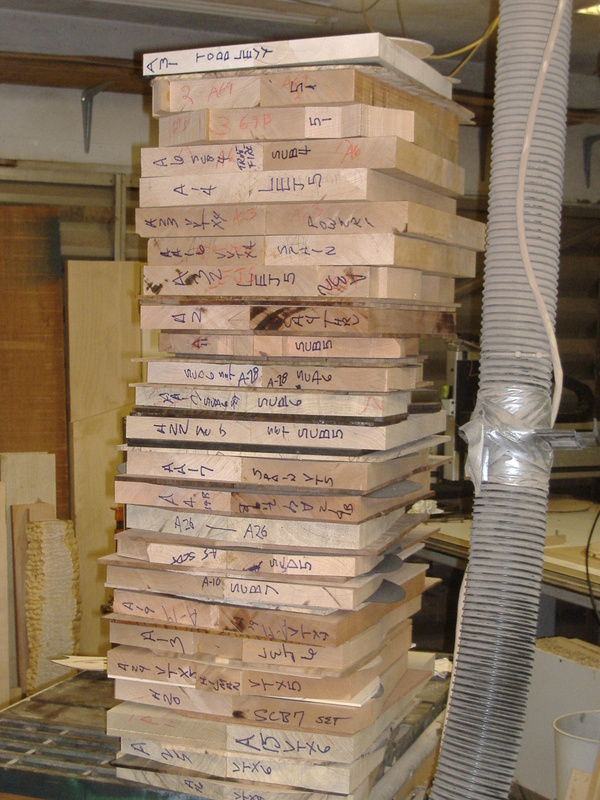 Mine is A25, I think (it's way down at the bottom of the pile). 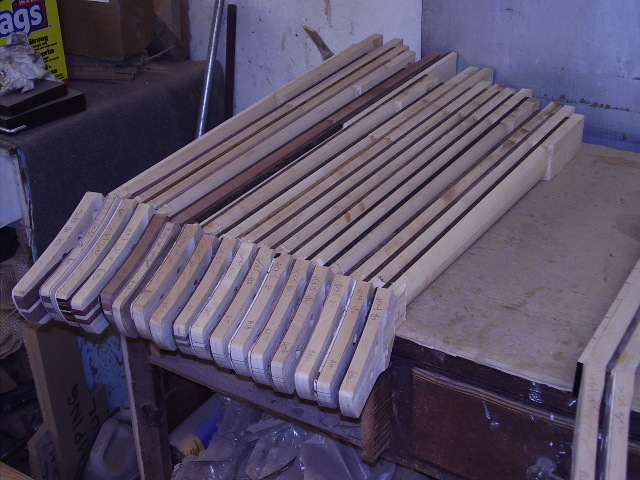 Here is one of a lot of necks, again I think A25 is mine. 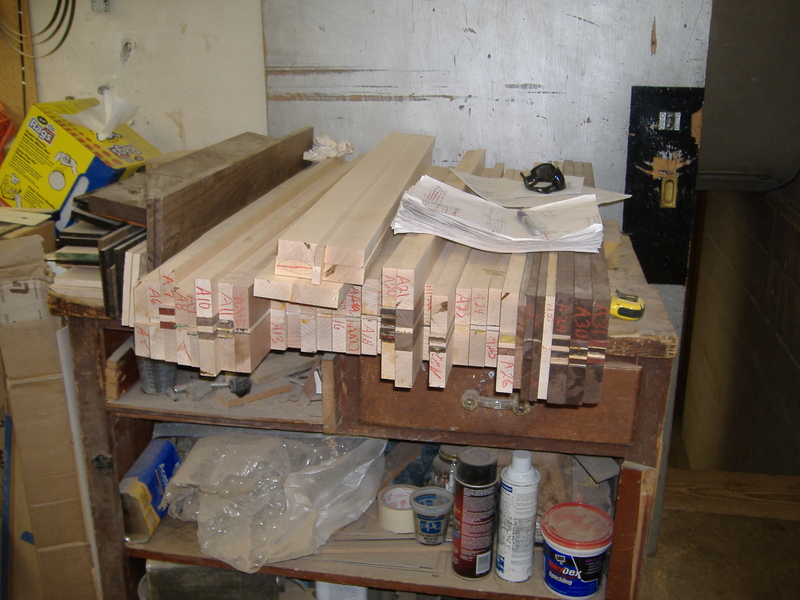 Got the top wood chosen. 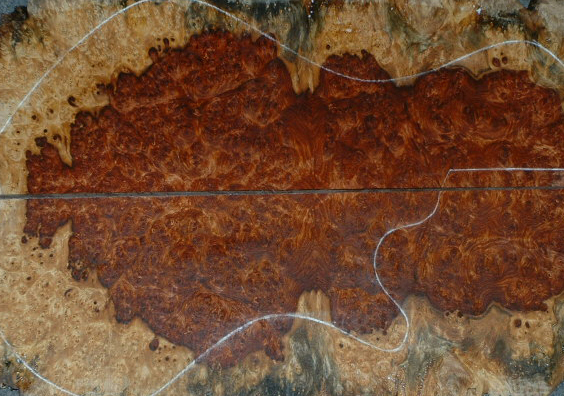 It's this piece of Amboyna Burl, delivered by Larry Davis at Gallery Hardwoods. Click for slightly bigger photo. 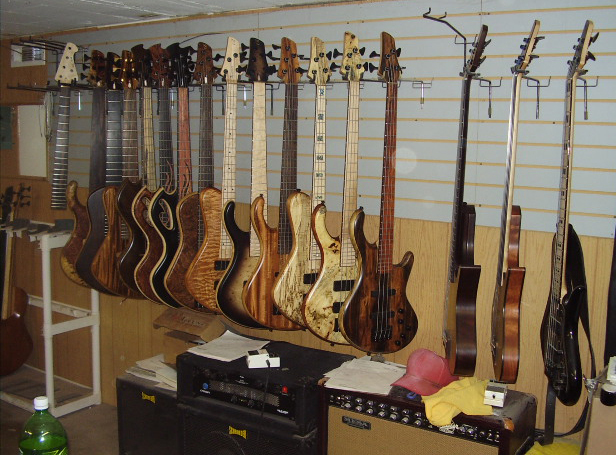 Note that the shape drawn on it isn't the Vortex shape, but rather the Plume Singlecut shape by JP basses in France.